The Baron 282 is a spacious dual control hot tub that offers space & comfort within its 210cm x 210cm square frame. Just like all Zen Spas models, the Baron 282 is blessed with a multiple layered acrylic shell under which a high density insulated foam cradled by a strong stainless steel frame for extra protection & structure lie. The hydrotherapy is delivered courtesy of 27 finely tuned stainless steel jets fuelled by a 1 x 3HP massage pump. The Baron 282 has an impressive ratio of jets per HP of 9. The baron 282 also benefits from enhanced internal insulation for added efficiency. With 1350 litres water capacity, the Baron 282 has plenty of room for movement within the 7 seater design. The spacious seats entitles users of any size and frame to enjoy the hot tub with the ultimate satisfaction & pleasure. What sets the Baron 282 apart from all hot tubs for the commercial sector is the Balboa inspired modifications to enable compliancy with HSG 282. The key details are dual controls, an automatic chemical feeder plus a WIFI adapter. The dual control system works perfectly with the top side control giving the user access to the turning on & off of the hot tub jets along with the lights. The main control panel is concealed within the side cabinet & therefore the main settings of the hot tub cannot be adjusted unless required by management. The Balboa WIFI adapter so the spa system could also be controlled remotely via a smart device. Finally, the automatic feeder enables a regular flow of chemicals into the hot tub to enable constant sanitation of the hot tub. Extra features of the Baron 282 include water pressure adjustment, twin filtration system plus LED surround lights & Balboa Bluetooth audio for the perfect mood enhancement. To complete the Baron 282 hot tub, complimentary steps & spa cover are included with the list price. The commercial market is an increasingly large sector for the spa & hot tub industry & the new Baron 282 will give both owners and users all the satisfaction associated with hot tub use without any management stress. Comfortable, deep & spacious, each seat on the baron 282 hot tub is structured to create the complete spa experience. Contoured lines merge both body & surface together with the added depth that Baron 282 offers - the highest quality of relaxation is achieved. The Baron 282 uses a closed cell high density foam to insulate the base of the shell. The synthetic wood cabinet is triple insulated & alongside the hard wearing thick base & thermal spa cover. The Baron 282 has 360 degrees of protection. The Baron 282 is controlled via a 2 x Balboa control panels, heater & internal control board. The 2nd & complete management control panel is hidden within the cabinet of the Baron 282 with a lockable cabinet to ensure safety. The Baron 282 also has WIFI which enables complete management control of the spa system. Easy to connect & easy to use. Baron 282 features surround lights, prism spot lights & base lighting. Our programmable filtration system allows full control of the filtration process with the twin filter system of the Baron 282 working in tandem to prevent the passage of any unwanted solid particles. Hot Tub Suppliers are British Multiple Award Winners in 2016, 2017 ,2018 & 2019 of Hot Tub Health Benefits which only illustrates the quality of the jets plus pumps in this hot tub range. The Baron 282 Hydrotherapy experience includes specially positioned massage jets for back & shoulder. Enjoy complete control of the spa and your guests with the dual control system. 2 x Balboa control panels enables restricted functions for the user ( jets & lights ) & full managemet control for the owners. ...and no filtertration ammendments ! Each 282 model features dual controls panels, the top (customer) panel limits the user to access to just the lights & jets whilst the 2nd control (management) panel boasts the full range of controls. The 2nd control panel is also securely concealed within the hot tub cabinet in a lockable panel. Perform-Max feeders bring the best in bulk chemical feeding. No other bulk feeder offers erosion technology with exact metering capabilities. Only Perform-Max has a patented performance valve that performs on cue, responding accurately to each adjustment with its wide range of settings. The Perform Max 920 is an inline feeder which can hold up to 3kg of chemicals and can handle a spa / pool of up to 113652 litres which is enough for any hot tub plus smaller swimming pools . 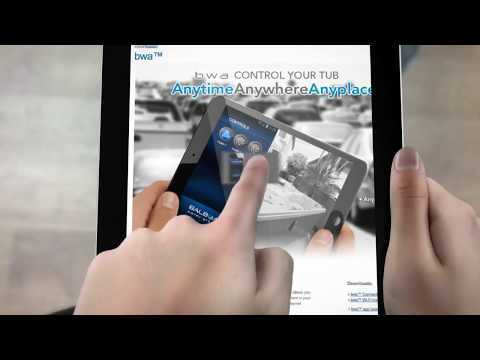 Why A Smart Hot Tub ?